I spent five days in Santa Barbara a little while back, and I feel like I made it to see quite a few places, especially ones that were local to Santa Barbara. I loved all of your suggestions, and I’m really impressed with the general sense of community I felt while in Santa Barbara. 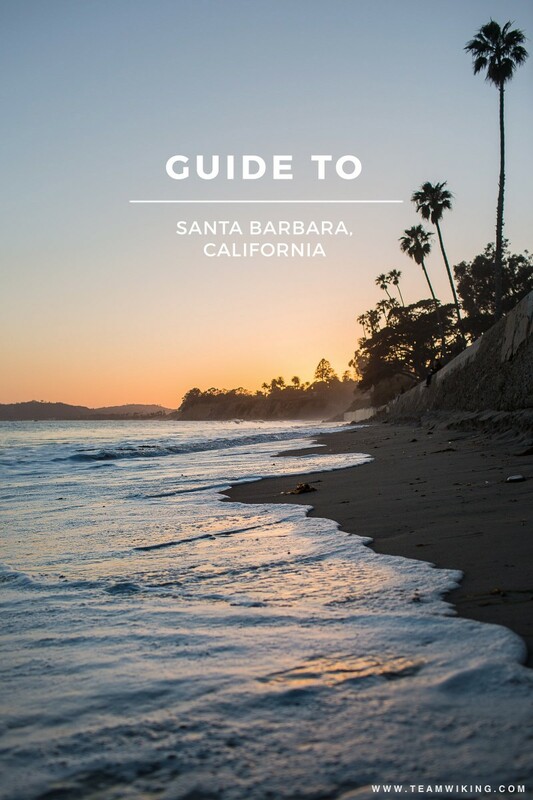 I’m sharing everything I did in this huge Guide to Santa Barbara, and to be honest I enjoyed every single activity, though I did have some obvious favorites. Every bit of food here is artisanal, seasonal, and local. Hand crafted cocktails and American comfort food. A boutique artisan grocery steps away from State Street. Featured in the movie Sideways, and according to Sunset Magazine, the World’s best BBQ. Simple, honest food. Had a great breakfast burrito. Mexican eatery features local, seasonal cuisine, a raw bar & cocktails in a chic, airy venue. Sustainable local fish & shellfish, a raw seafood bar, cocktails. The hamburger I had was beyond dreamy, try it. Santa Barbara loves it’s wine culture, and there are plenty of places to stop in for a taste. Grab some lunch and enjoy it on the lawn. Dog friendly and perfect for watching the sunset. A neighborhood full of locally owned shops and eateries. Everything in the way of handcrafted, regionally sourced and sustainably made food and wine. An artsy, funky neighborhood. Has a busy nightlife. I fell in love with the k.frank store here, so much goodness! One of my favorite stops, full of botanical wonder. Go on a docent-led tour to optimize your experience. Even if you don’t see many whales, the dolphins are a lot of fun. Rent a Stand Up Paddleboard and have a blast. Beautiful Spanish / Moorish inspired estate and gardens. California’s oldest, continuously-operating theater founded by José Lobero in 1873. Teen Paranormal Romance is the current exhibit and is worth a view if you are in the area. I stayed here and absolutely loved it’s uniqueness and ties to the city. Stopped in for a quick bite before watching the sun set at Butterfly Beach. Food and service were perfect. Enjoyed brunch and the Chumash nature walk here. Food and walk were a wonderful balance. Do you have any favorite places to add in Santa Barbara? I went to Santa Barbara years ago with my husband since his family lived out there, and it was an amazing trip! I’ve been dying to take a Cali vaca. We’re in AZ so the drive isn’t that bad;) I’ll have to put these on my “things to do” list. I love Santa Barbara. It is such a beautiful city. I’m trying to plan a girls trip here so thanks for these suggestions! I’m going to Santa Barbara next month, can’t wait to check out some of these places!